Umesh Bhuju tries to do his bit to make the world a bit greener. These days, it’s more than the “Reduce, Reuse and Recycle” mantra long associated with environmental consciousness. Umesh and his wife Zillie opened Zumi’s Ice Cream and Espresso in Ipwsich, Mass. in 2003. In addition to implementing eco-friendly business practices, Zumi’s hosts lectures on global coffee-related issues, like Fair Trade practices or landmine victims in coffee-growing communities. The Bhujus’ efforts are typical of many small coffeehouse businesses that try to raise environmental awareness on both the local and international scale. Umesh Bhuju said he’s seen an increase in customers’ interests in “going green” since Zumi’s opened in 2003. Coffee is the second most highly traded commodity in the world, trailing only petroleum. In 2005, the average U.S. citizen consumed an estimated 24.2 gallons of coffee, according to a survey by the Agriculture Department’s Economic Research Service. The same survey estimated that the sales of coffee at coffeehouses nearly doubled between 1998 and 2003. Given the scope of coffee consumption and its international impact, it’s not surprising that an increasing number of coffee lovers want to be conscientious consumers. The rhododendrons in front of our house have never looked as good as they do this spring. A coincidence – or does it stem from the used coffee grounds we keep dumping on them? Coffee grounds are popular with gardeners for compost piles and worm boxes. Compost Guide recommends coffee as a usable organic material for compost piles, and says, “Worms love coffee grounds and coffee filters.” Meanwhile, ants and slugs detest coffee, according to many gardeners, and used coffee grounds at the base of a plant may help keep pests away. At Zumi’s in Ipswich, Mass., some customers routinely leave buckets at the cafe, where staff will fill them with the cafe’s used grounds. The customers return several days later to pick up the buckets. Owner Umesh Bhuju said he offered used grounds from the time Zumi’s opened in 2003, but the bucket routine took a while to develop. Starbucks also packages its used grounds and makes them available to customers who request them. Coffee grounds work well with plants that prefer acidic soil – rhododendrons being one of them. 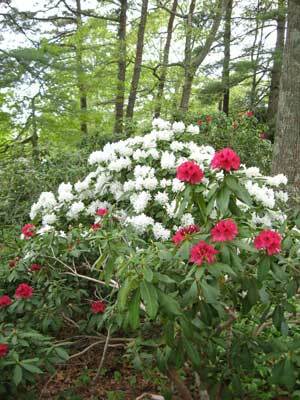 At our home, we simply dumped used coffee grounds at the base of our rhododendrons through the winter and early spring months. For suggestions for more devoted gardeners, see Compost Guide or the U.S. Environmental Protection Agency’s compost page. The rhododendrons in front of our house look better than ever after a steady winter diet of coffee grounds. In those bygone days of the dot-com boom, I worked in the Northern Virginia suburbs, where a Starbucks run was a twice-daily routine for my office. It worked fine when we were all paid handsomely, single, childless, and gas was less than $2 per gallon. Judging from the crowds at Starbucks, we had plenty of company among local tech-sector employees. 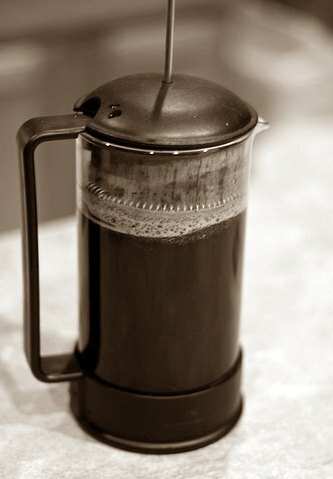 The French Press as an office coffee substitute. With the $4 Gas Gallon Era looming ahead, it may be time to reconsider this practice – especially for those who work in Suburbia and need to drive to get coffee to go. An office coffee pool reduces driving and is a major money-saver on the coffee front. Even a $15 pound-bag of premium beans is more economical than buying coffee out every day. Typically, office coffee pools involve a drip-pot. 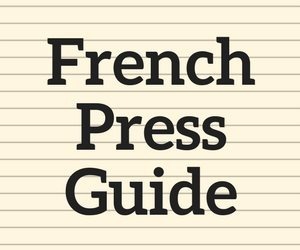 My recommendation, however, is to try to recruit a few co-workers for a French press pool. A hot-water source in the office is a prerequisite; pool members can take care of everything else. 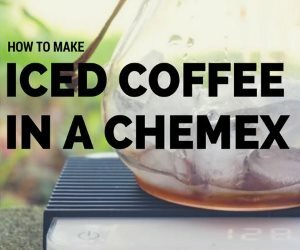 Somebody needs to keep a French press at his or her desk, and everybody takes turns buying premium beans, coarse-grinding them, and bringing them to work in an airtight container. If there is an office freezer available, it’s a judgment call as to whether it should be used to store the ground beans. 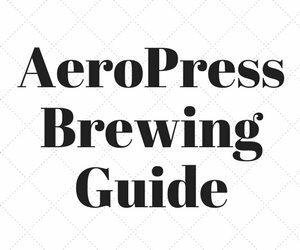 Pressed coffee isn’t for everybody, and that’s precisely the point. Press pools at the office have a bit of a cult feeling. Those involved tend to be appreciative of great coffee, and grateful somebody had gone the extra mile to bring in a press. At the above-mentioned dot-com, and later as an editor for a community newspaper, I really bonded with some fellow press pool members at work. Often, they were coworkers I barely knew before discovering they liked intense, sediment-heavy coffee. Great coffee, interesting people, cost-saving, gasoline-conserving. What’s not to like? Like many cafes, Zumi’s in Ipswich, Mass. provides incentives for customers to bring in their own mugs. 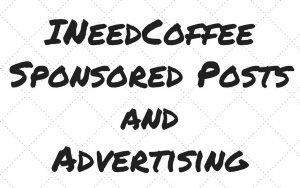 Those who do so receive 10 cents off their coffee. “That’s an incentive we’ve had from the beginning,” said Zumi’s owner Umesh Bhuju. For customers who remain in the cafe to drink their coffee, Bhuju said, “We’re also encouraging people to get the ceramic mugs we’re providing.” The cafe saves on paper cups, and reduces the number of paper cups, lids, and hot-cup sleeves that would otherwise be bound for the trash. Wasted paper coffee cups became a bit less wasteful in 2006, when Green Mountain Coffee Roasters of Vermont introduced Ecotainers, disposable cups with biodegradable waterproofing. For their innovation, the team of Green Mountain and International Paper was one of four recipients of the Specialty Coffee Association of America’s 2007 Sustainability Awards. The cups Green Mountain introduced are waterproofed with bioplastics from corn. According to the Specialty Coffee Association of America, consumers use 10 billion paper hot cups each year. Typical coffee go-cups are waterproofed with polyethylene, a non-biodegradable petrochemical. International Paper plans to design Ecotainers for several other customers. “Look in your kitchen – do you know where your beans come from?” asks Dean Cycon, founder and president of Dean’s Beans Organic Coffee Co. of Orange, Mass., on the company website. Dean’s Beans sells only certified organic, Fair Trade and kosher beans. Most coffeehouse regulars are familiar with the Organic and Fair Trade certification labels, which speak to the environmental and economic conditions for the coffee growers. Coffees certified as organic by the U.S. Department of Agriculture contain at least 95 percent organic ingredients. Peru, Ethiopia, and Mexico are the leading producers of organic coffee, which is now grown in 40 countries, according to the Sustainable Markets Intelligence Center in Costa Rica. Other countries that export organic coffee include Rwanda, Haiti and Vietnam. Primarily, Fair Trade certification pertains to prices and labor conditions for coffee farmers, but it also means that the use of agrochemicals was limited in growing the coffee. Of the Fair Trade coffee sold in the U.S., 78 percent is certified organic, according to TransFair USA, the certifier for Fair Trade in the U.S.
To my surprise, per-capita coffee consumption in the United States is nowhere near its peak. While it has been on the increase since 1995, the heyday of coffee-drinking in the U.S. was in 1946, when the average American drank 46.4 gallons of coffee a year, according to the Agriculture Department’s survey mentioned above. But coffee consumption in the U.S. has resumed an upward trend since the mid-90s, and it is increasingly an era of high-end coffee. Premium coffee beans come from a growing number of countries. Wherever their source of origin, exported coffee beans take an interesting journey from their harvest to the consumer’s cup. As Dean Cycon suggests above, it’s worth our while to know about where our coffee comes from. Our choices as coffee consumers, in all likelihood, have a wider global reach than ever before.